We here at Happy About® want you to share our books to help others as well as yourself. We offer an affiliate program that allows you to share great content while earning money! Go to our Link2Us page to find images to use to link to our site. The Happy About® Affiliate Program is an online revenue-sharing program that gives you the tools you need to sell "cutting-edge," 21st century content in physical and e-book formats. The Affiliate Program can help you earn money to fund various activities. WE pay YOU to advertise for us. We take care of all the hassles: ordering, payment, fulfillment, and customer service. Joining is absolutely free of charge and you get a commission on every product sold! You can join and use our affiliate program to receive 15% on sales of our books. All payments are made once a quarter. You need to do the following three things. We prefer that all payments be made via PayPal. Please sign up for a PayPal account. If you do not use PayPal or do not want to use it, we can send you a check. Happy About, a California corporation, writes and publishes books on a host of extremely interesting topics. 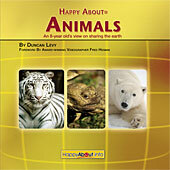 The Happy About® book series is comprised of books with a positive spin on controversial and educational topics. Our books use testimonials and editorial from those that have "been there and done that". We've found that the best way to learn is through the experiences of others. Q: How does the Happy About® Affiliate Program work? A: The Happy About® Affiliate Program is an online revenue-sharing program that gives you the tools you need to sell "cutting-edge," 21st century content. We take care of all the hassles: ordering, payment, fulfillment, and customer ser vice. Joining is absolutely free of charge. And you get a commission on every product sold from your site. A: We pay a 15% commission (30% for the rest of 2009) on all our products that you sell. The commissions do not apply to sales tax and shipping. In addition, you can enroll affiliates and we give you 2 1/2% commission on their sales. We have a lifetime cookie, so even if the customer decides to order though email solicitation, or Google ad searches, you still get credit for it! Q. Do I have to have a certain number of sales to get paid? A. If you have a PayPal account, we will send payments for amounts over $25. If you do not have a PayPal account, we will send payments for amounts over $100. A: The Affiliate Program is FREE to join. A: Affiliates are paid quarterly. If your commissions add up to less than $25 (with a PayPal account) or $100 (without a PayPal account), we will hold your commissions. Once your total fees reach the threshold, you are paid once a month at the beginning or each month. Please note that if either falls on a holiday, there may be a slight delay in sending. Q: How will I check my earnings? A: Login to enter your personal affiliate back office which allows you to review your current sales activity, your genealogy, banner updates, or update your account information. You will also receive a quarterly statement with your commission check. 2. Fill out our simple application form. 3. Once we accept your application, we will e-mail you a unique ID number and information about our Members Only area. Q: Can I join with my international Web site? A: Yes, we welcome you to our program. Great, you've made the decision to sign up. The cost is ZERO and the reward is unlimited. You will be taken to a secure page to register. Thanks and welcome to the FAMILY.